Finally back to wing buildin! I've cleaned and inspected the spars. There were some minor scratches which were lightly filed and sanded out. I'm thinkin' they're in good shape, no major defects. Got the ribs ready to go and am sliding them on. There is a small place on the trailing end where the rib web comes through the cap strip that could use a little filler. What should I use? 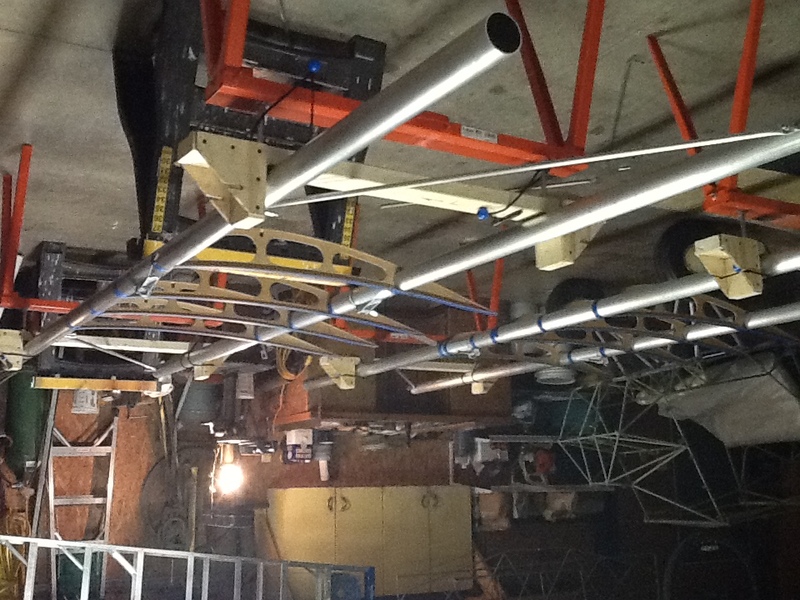 Before I get 'em all on I need to whittle on rib #8 so it will fit over the strut attachment. 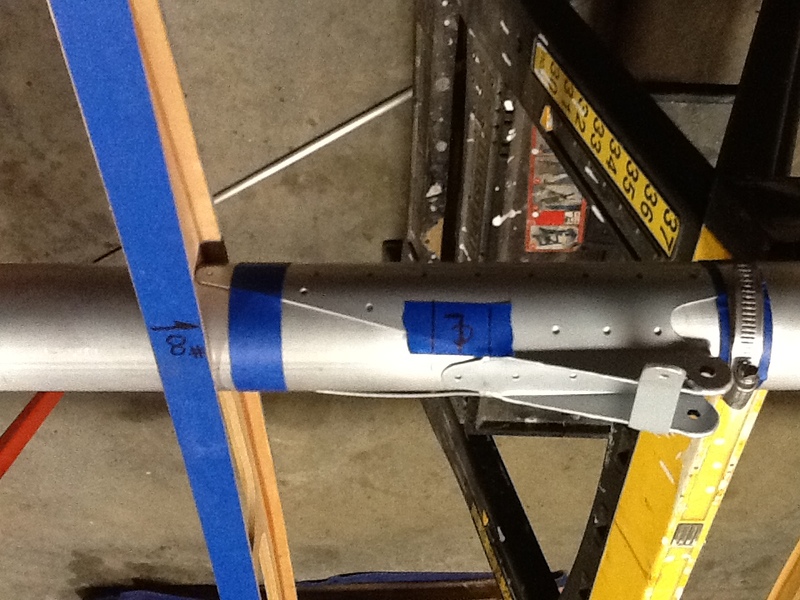 The front spar end of the rib is no problem, but the rear spar opening is gonna be a little hairy, I've got to take down the inside of the cap strip so it'll go over the bracket. There sure ain't gonna be much left when it goes over the bracket. I think I can cheat a little on the opposite cap strip (top) to slightly enlarge the OD. I don't think it will change the profile enough to make any difference. When I get #8 fit, I'll get the rest of them on. Do you guys still think a 1" washout is good? I even thought I read, 3/4" would be better! 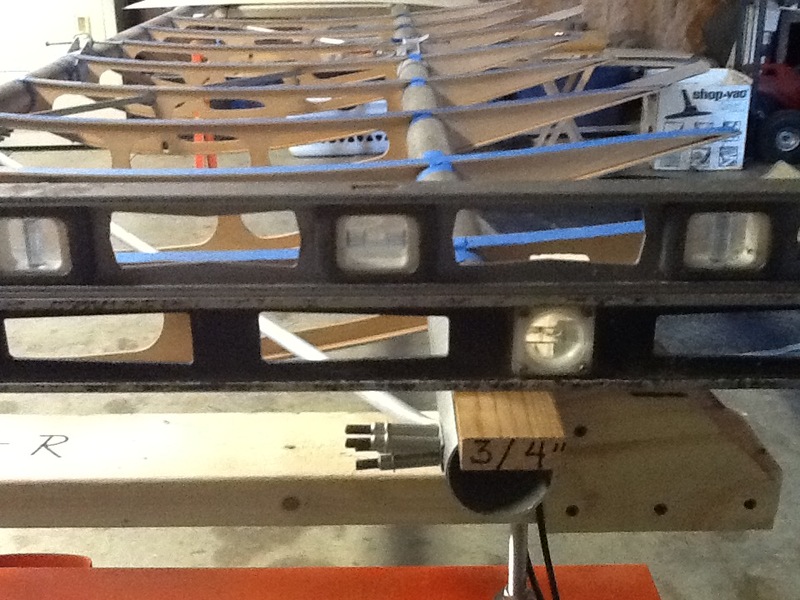 I'm figurin' on making a couple of more trailing edge ribs to stay consistent with the wing design. 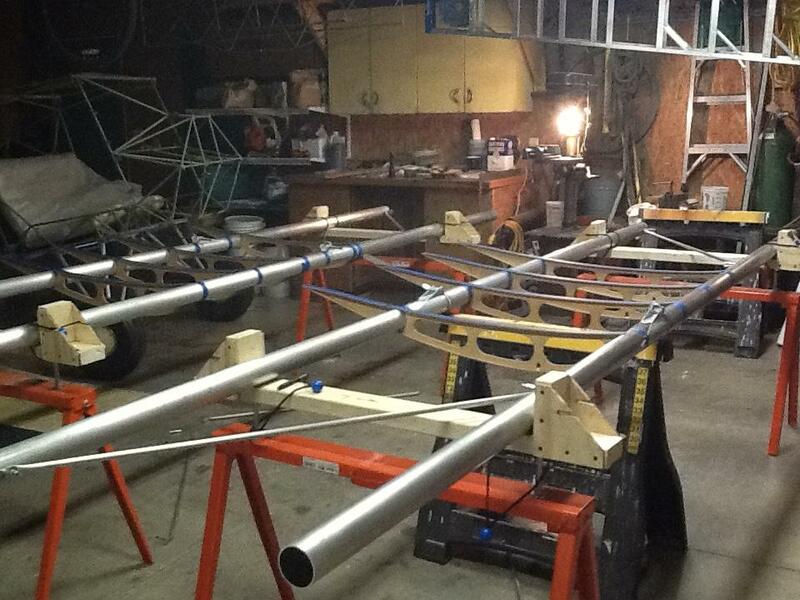 By gusseting the forward end and using the the aluminum trailing edge I think the ribs would be structurally sound. 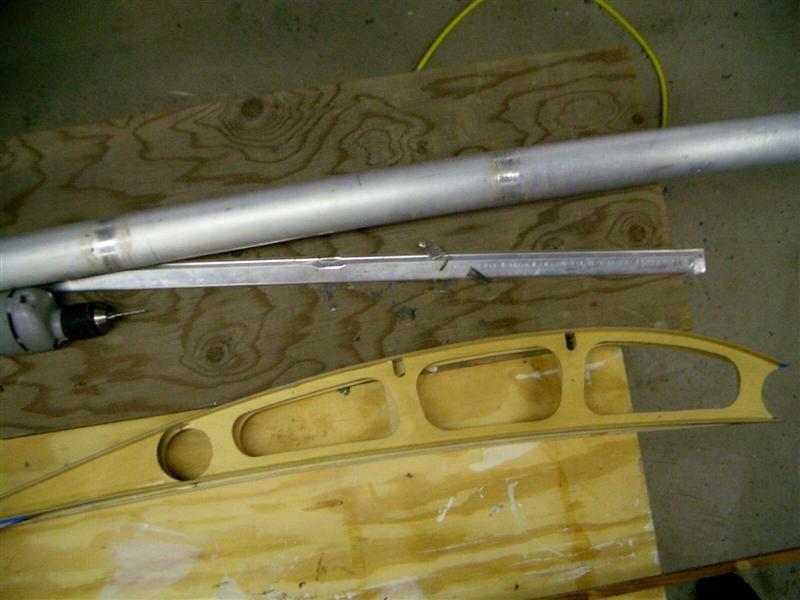 I bought 1/4" marine plywood for all the gusseting, the drag tubes too. Is good, or do I want different? It'll be birch ply for the ribs themselves. The gun's gone off and we're out of the blocks.....26K! Won't work on the Avid rib. 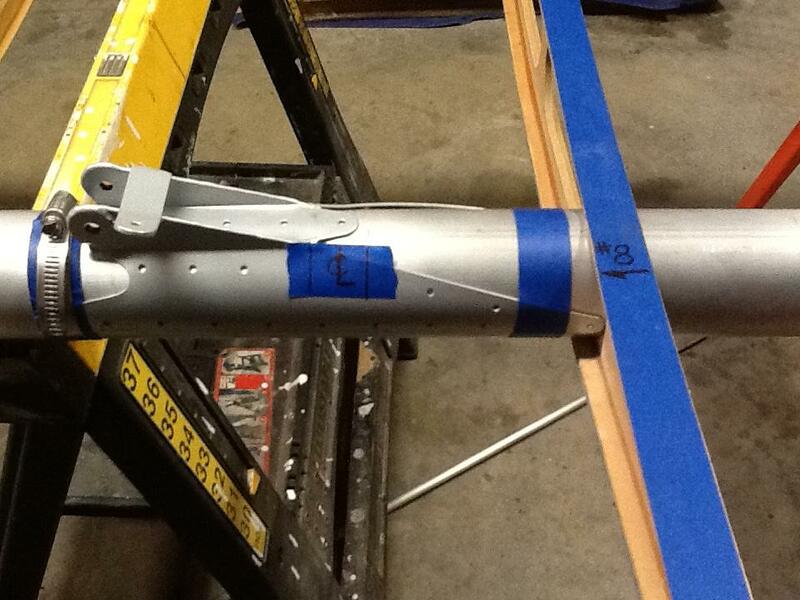 The rear spar cutout is too high, right at the very top of the web, and the capstrip actually sits right on the spar. The cutout on the Kitfox 1-3 rib is just a tad lower in the rib web, leaving about 1/8" space between the spar and capstrip. Ie, enough space to glue in the doubler. #8 wasn't bad. You can use the laminations of the cap strip to gauge your depth when takin' them down with the Dremel. They turned out fine. I'll get the rest of the ribs on and fit the drag tubes. Then, I gotta ask again, 1" WASHOUT? I did read somewhere 3/4" may be even better. 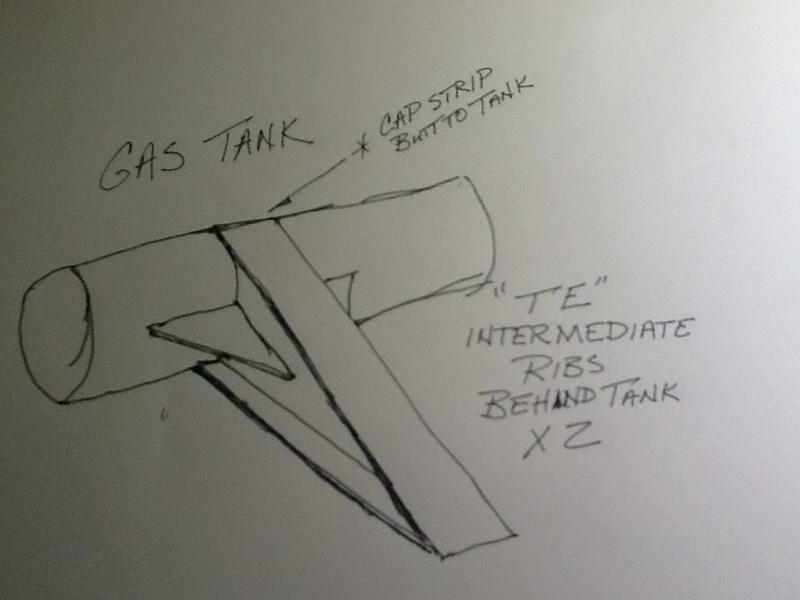 I am gonna use my tanks and build a couple of more TE ribs outa birch plywood just like the others. Should I use the 9460 I bought to glue the cap strips to the web or use something else? The glue on the rest of the ribs is kind of a light brown. 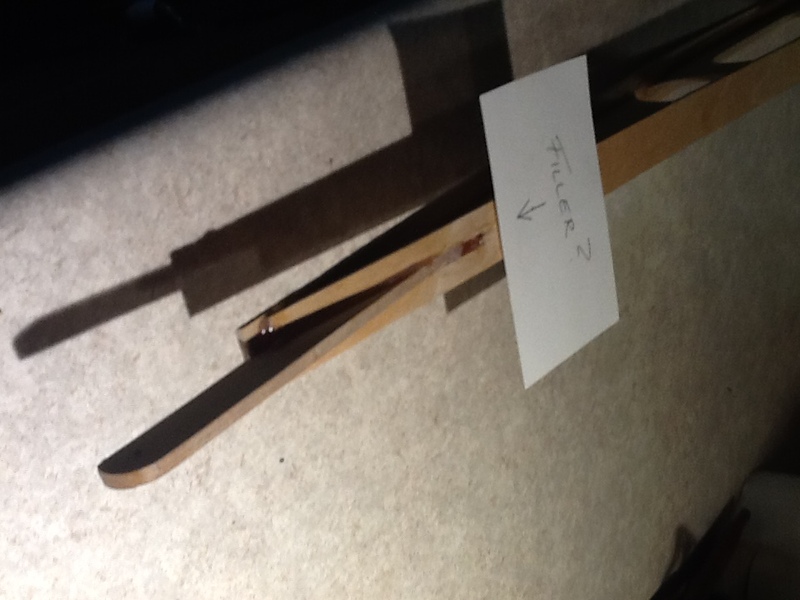 When it comes to using the cotton flox, that's just a thickener not for strength isn't it? 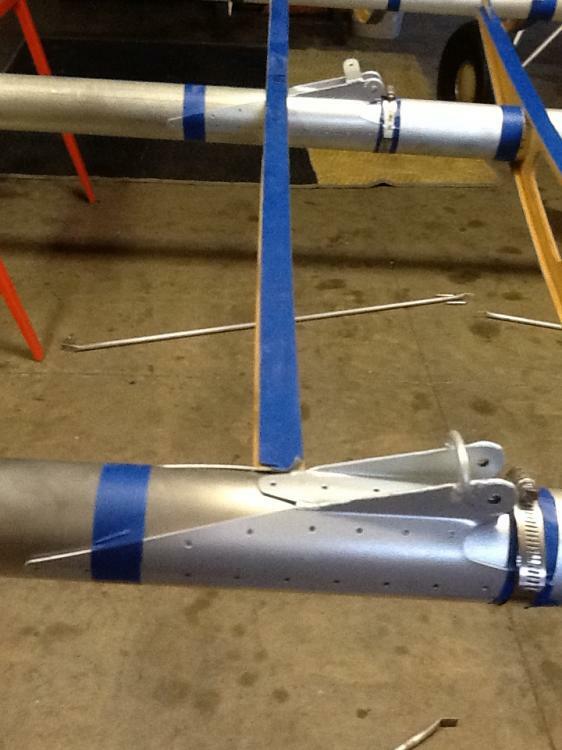 Also, on the strut attachments, microballoons were mentioned to use when gluing them on the spars. I must confess, I'm not familiar with either one. Keep an eye on me boys! I cant tell you exactly how to mix the flox - you may think you put too much flox in the mix the first time you try it, but continued mixing will give you a fairly stiff paste that don't run when it starts to warm up and set. You may need to experiment with the mix. The mix I use, and I use a $25 digital scale from Harbor Freight, is for every 10 grams of epoxy and 10 grams of hardner I add the amount of flox I can hold on a large craft stick bought from Walmart - I buy both the popsickle sticks and the larger sticks there. The small ones are nice for putting a radius on the rib/spar joints and elsewhere. They say to use 100 grit sandpaper to sand the spars before gluing, but I like the purple scotchbrite pads better, and they don't contain aluminum oxide which is bad for aluminum, so I am told. The old 2216 instructions say to wipe the sanded spars with alcohol, but I dont remember what 9460 instructions say - that is your call, but I did that. I have used 9460 for lots of rib repairs and capstrips. 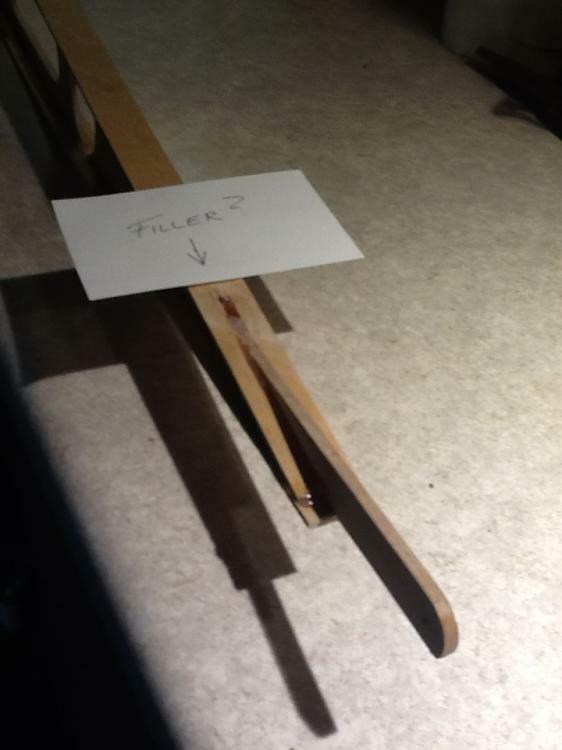 Myself and a mechanical engineer buddy did some testing with various wood glues and epoxies including the T88.. Gorilla glue won hands down. I used gorilla glue to do all my wing rib repairs in 09 and they are still holding strong and they have been put to the test. Gorilla glue? Really! With a name like T-88, it's got to be better. Just kidding! Good is good.Thanks Leni! Hey, what are your thoughts on washout? 1 1/2", 1", less? Heavy hauler undercambered. I wouldn't put in more than .75" I would cut mine down to 1/2" if I had it to build again I'm not sure what the kf washout was changed to but I would go with that. I have 1 3/4" in mine and I know I'm leaving a boat load of performance on the table just by the way it flys. 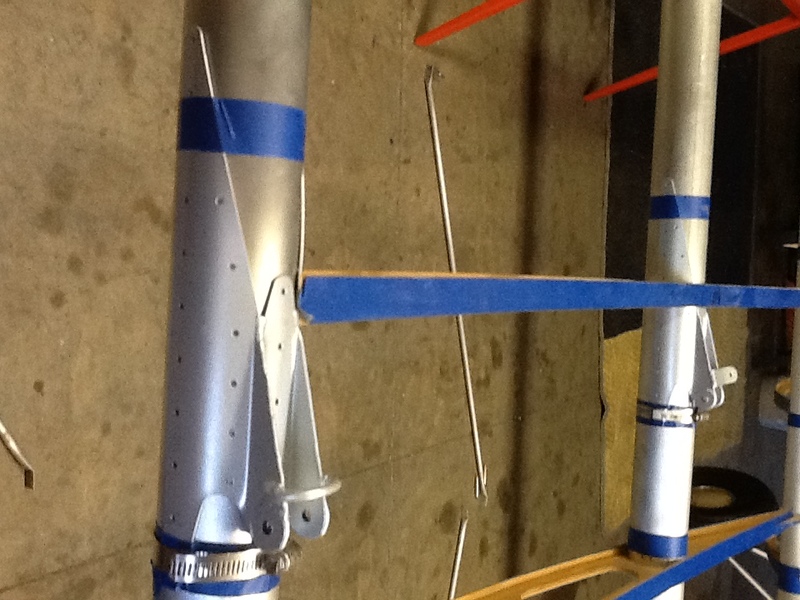 if your worried about stall break you can always put vgs on the last few bays to keep the tips flying. I don't think it would have a nasty break without them though. B Hi Guys! Back at it again, wing buildin'! I'm ready to start gluin' ribs. Got a couple of questions before I start. First, the washout: Are y'all in agreement that 3/4" would be good? 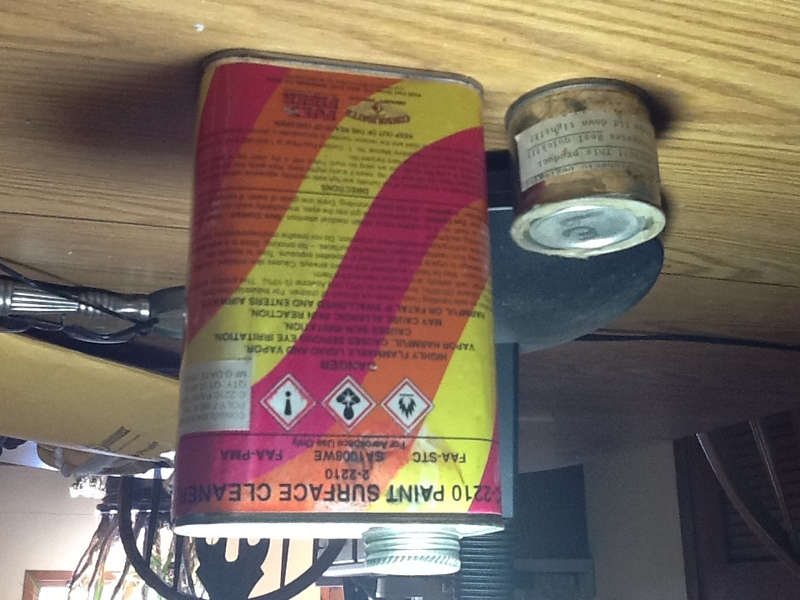 And second: Degreaser for 9460 glue prep. 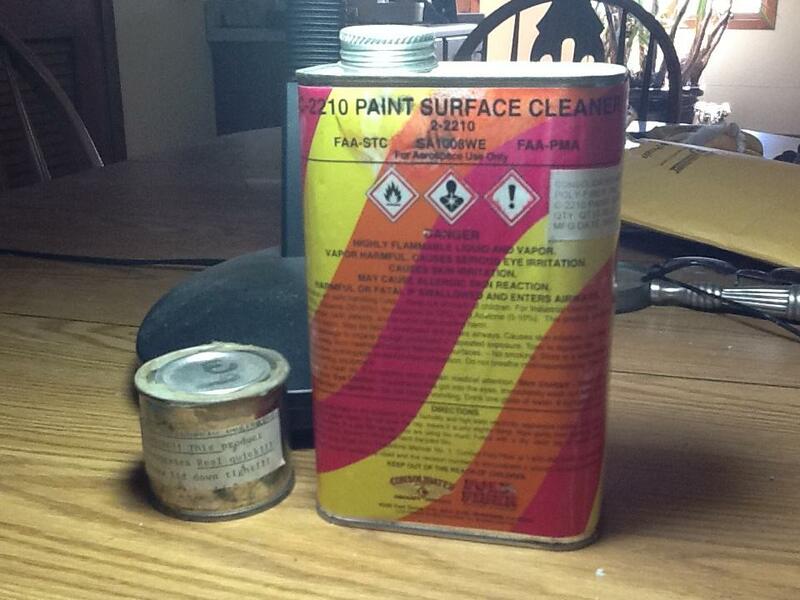 I have what came with the kit and I also have this paint surface cleaner that I have leftover from my Challenger. 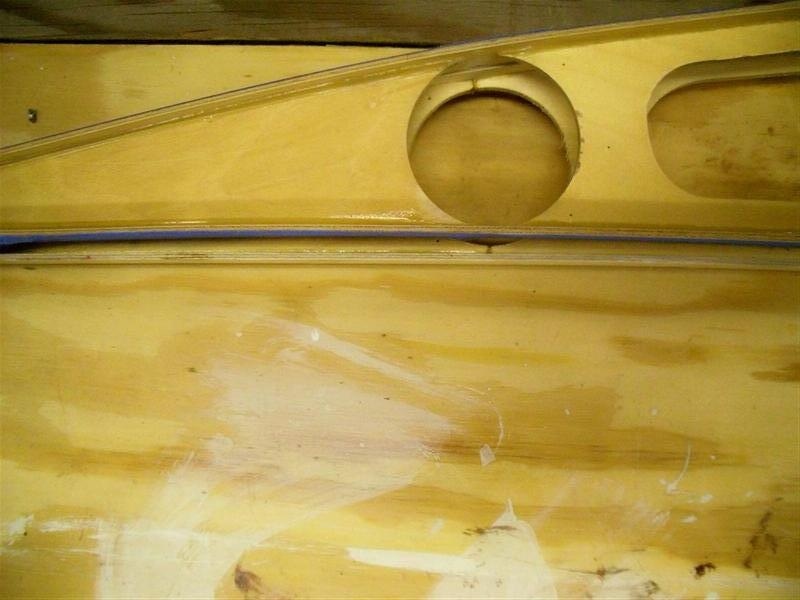 I just rubbed my spars with purple scotchbrite and wiped with alcohol where the ribs connect - my wings have been handled a lot and sometimes got banged around and seems like the 9460 is holding good. I think it bonds better than the original 2216 Avid used. I think 3/4" twist is good. 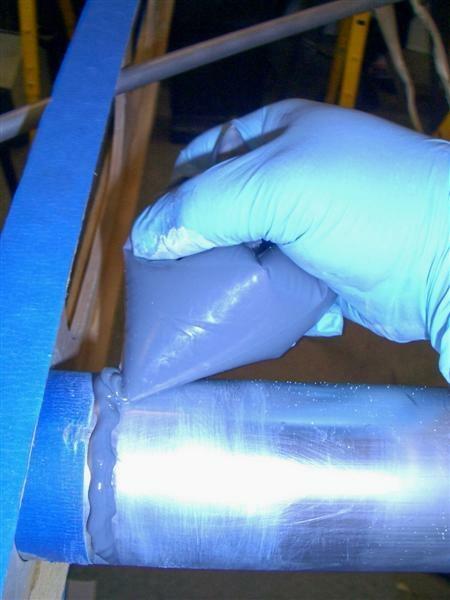 To prep the spar tube surface for fresh Hysol, clean with MEK then Acetone, rough up the bonding points in a cross-hatch pattern with maroon Scotch-Brite #7447 pads only (other pads or sandpapers that contain metals other than aluminum oxide can imbed metal and cause stress risers in the aluminum spar tubing). Clean with MEK and Acetone again. 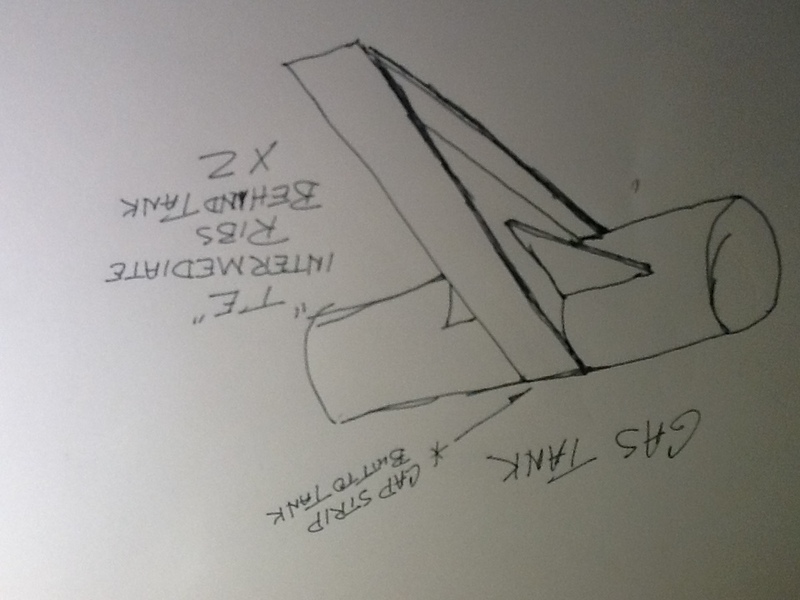 Mark the rib locations with a ball point or felt tip pen (graphite from lead pencils is a no-no on aluminum) by wrapping a piece of heavyweight paper around the spar tube and tracing along the edge for a perfect line around the spar. Then mix up a small batch of Hysol epoxy 1:1 by weight (don't eyeball, use a digital postal or diet scale with tare feature) and spoon it into a freezer weight zip top sandwich Baggie. Clean spar with MEK and Acetone again. Cut the tip end off one corner slightly and use like a piping bag to lay a bead of epoxy all around the spar just outside your rib location line. 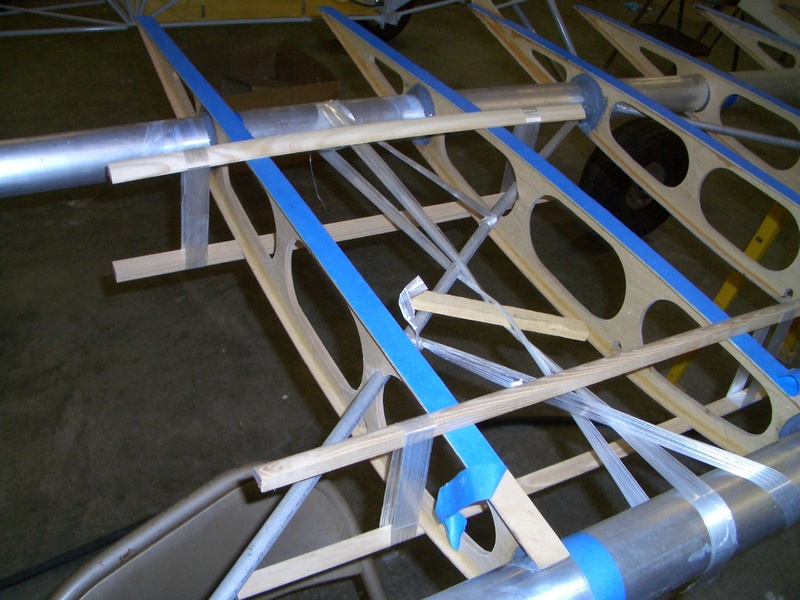 Dragging the rib into position through the epoxy ensures a good bond between spar and rib. After the Hysol has skinned over slightly but is still pliable, wet your finger with Isopropol Alcohol and run it around the joint for a perfect filet. Clamp a straight edge along the top and bottom capstrips of several adjoining ribs to make sure they cure flat, will save a lot of sanding and make for a visually appealing end product! A couple things I didn't mention above is that you should use a garrote to hold the spar tightly against the rib while the epoxy sets and you must go back after the Hysol filet on the first side has set up to apply and smooth the filet on the other side. I find it easier to do this way rather than trying to glue and smooth both sides then straighten/brace etc. all at once. That was a recipe for getting glue all over everything! I sure look forward to smelling MEK again! I've missed it since my Challenger rebuild. I bought some syringes down at Wicks that I was gonna try to use to apply the glue. Do I want to use cotton flox too? Doug, what do you mean, a garrote? 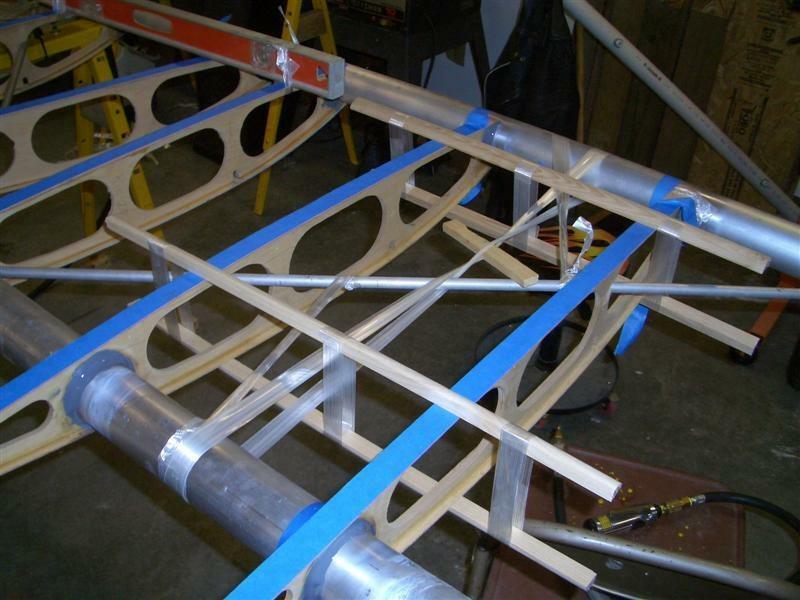 I have fiber reinforced strapping tape to strap and twist the front and rear spars tight. Is that what you meant? On my way to buy the stuff. Ain't gonna get much else done today. It's a nice day here in central Illinois and I'm flying! Excellent pictures and cotton flox it is!